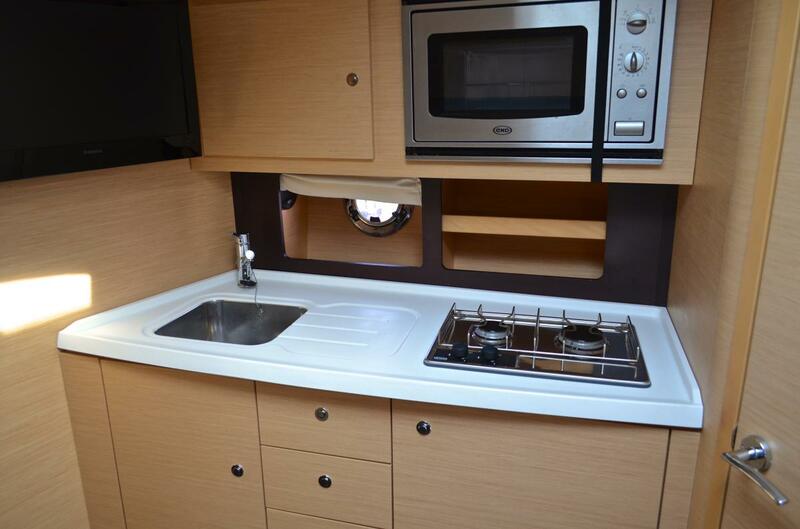 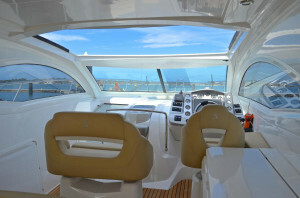 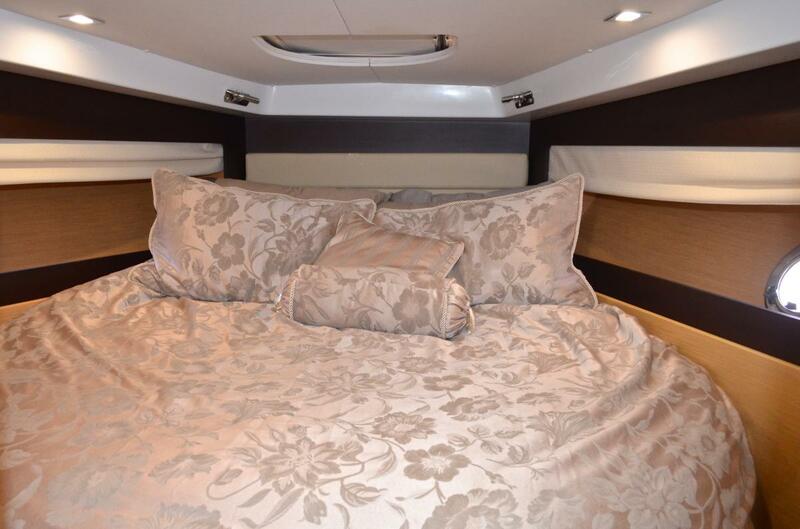 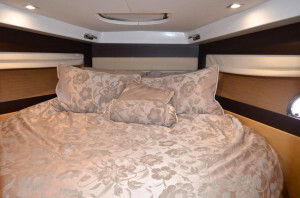 What an absolute gem from the huge Beneteau factory in France. 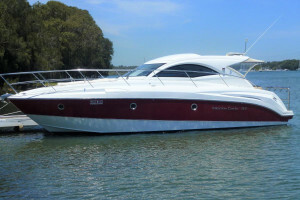 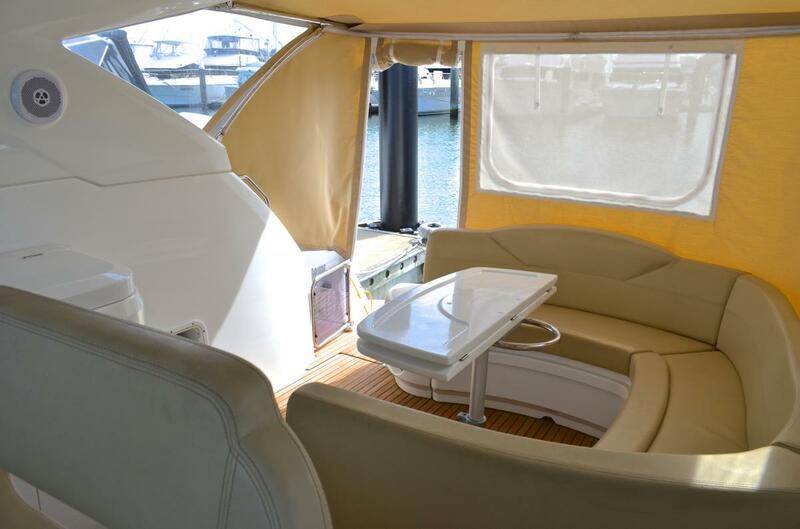 This beautifully designed and crafted sports cruiser is just as at home in the Australian waters as she is in the hot-spots of the mediterranean. 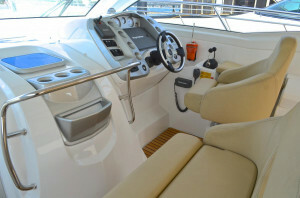 Perfect for Coastal hopping and an absolute delight to drive. 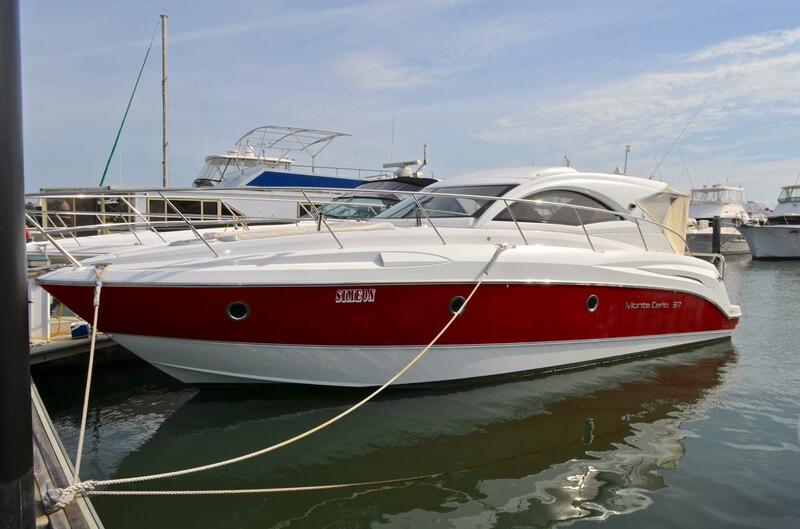 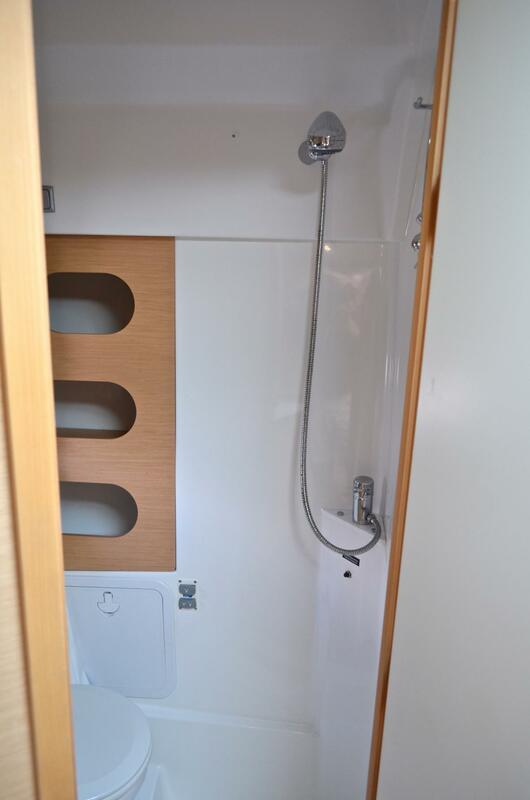 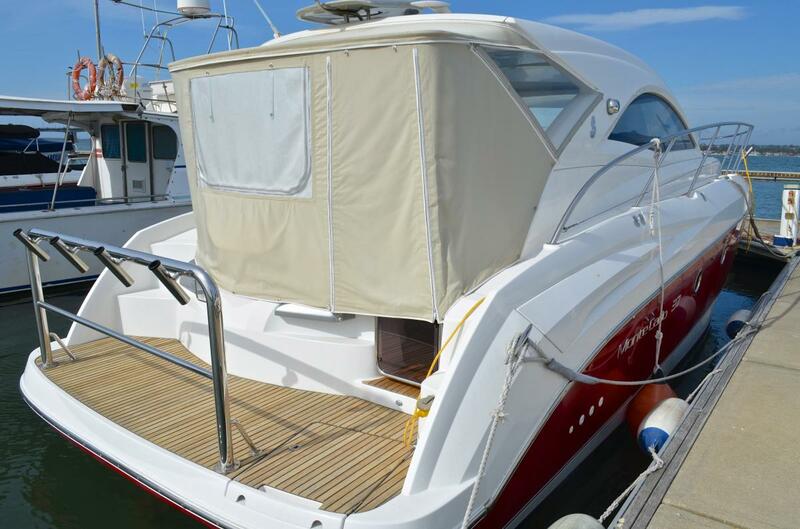 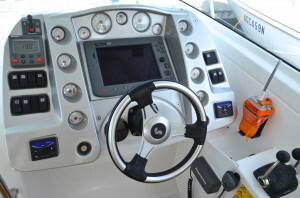 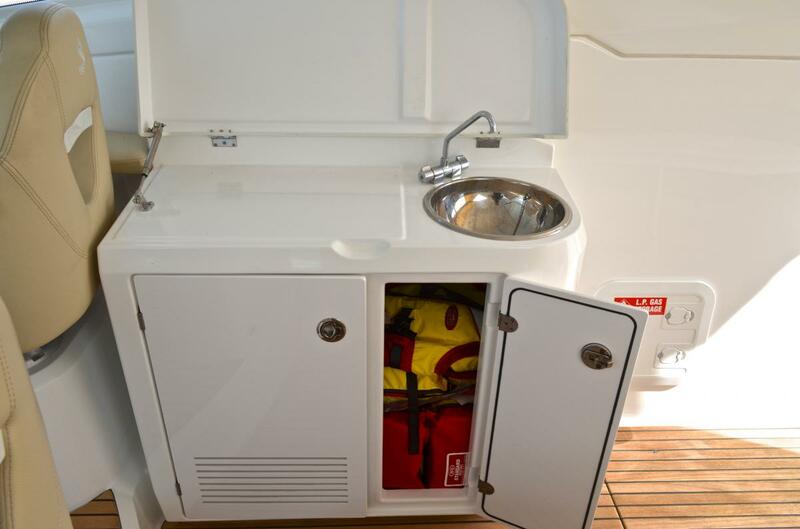 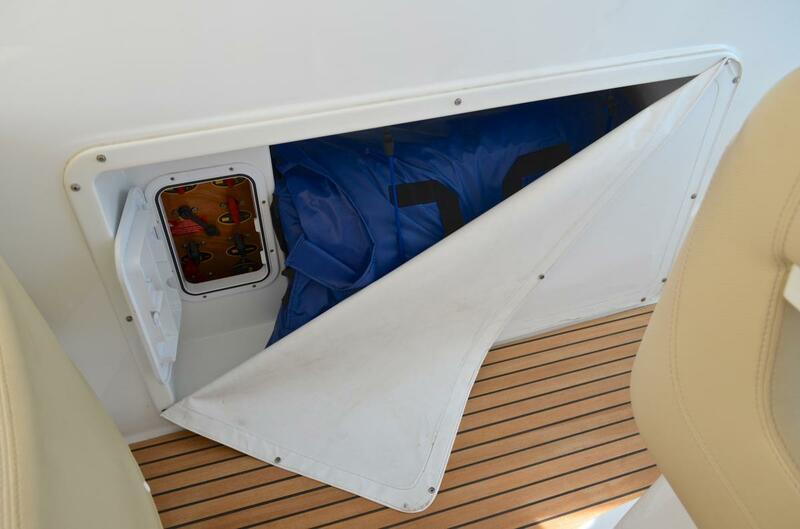 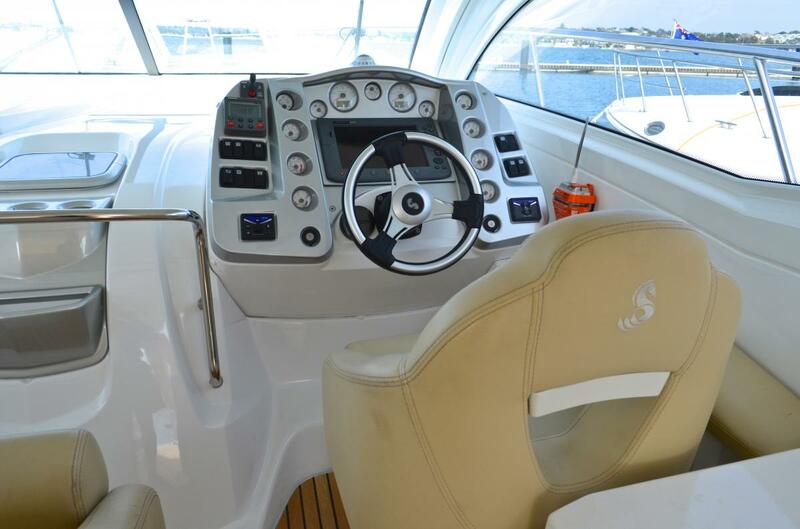 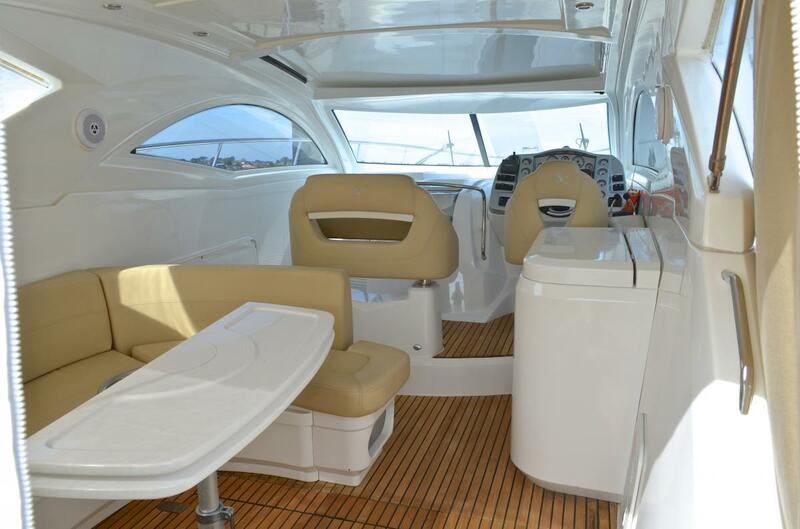 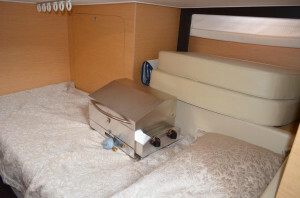 The raked hardtop with electric sunroof allows immediate access to the glorious outdoors and the sumptuous helm has all the controls at the skippers' fingertips including electronic throttles and shifts, bowthrusters, autopilot, large screen GPS and depth sounder. 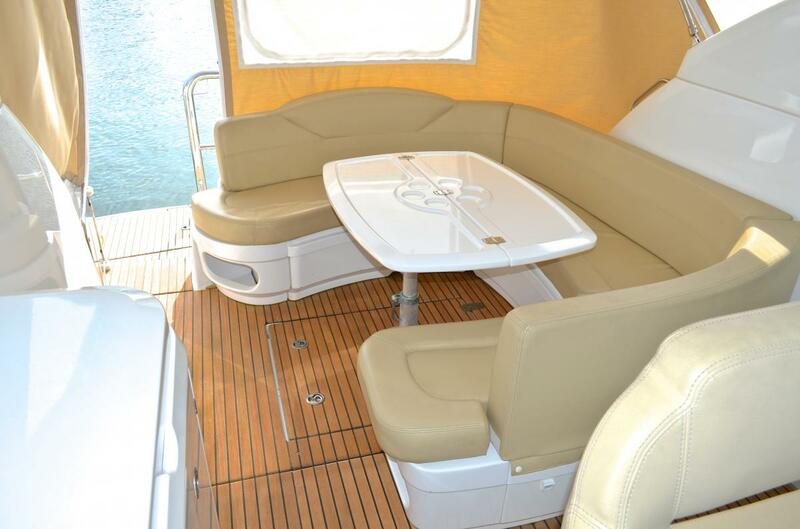 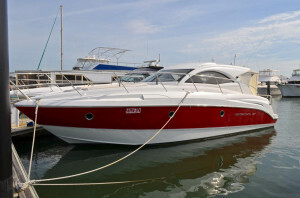 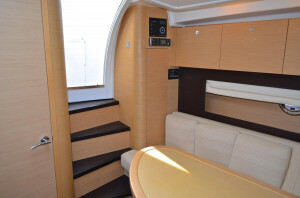 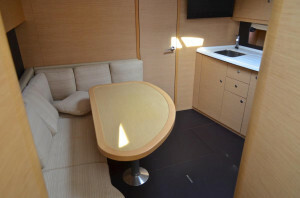 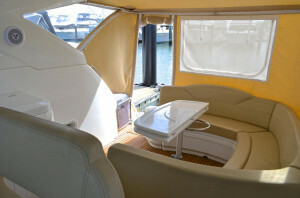 With a teak laid cockpit and large boarding platform with custom stainless steel rail and BBQ, this cruiser is designed for the luxurious outdoor lifestyle. The hull has recently been repainted in two pack and she boasts new canvas and clears. 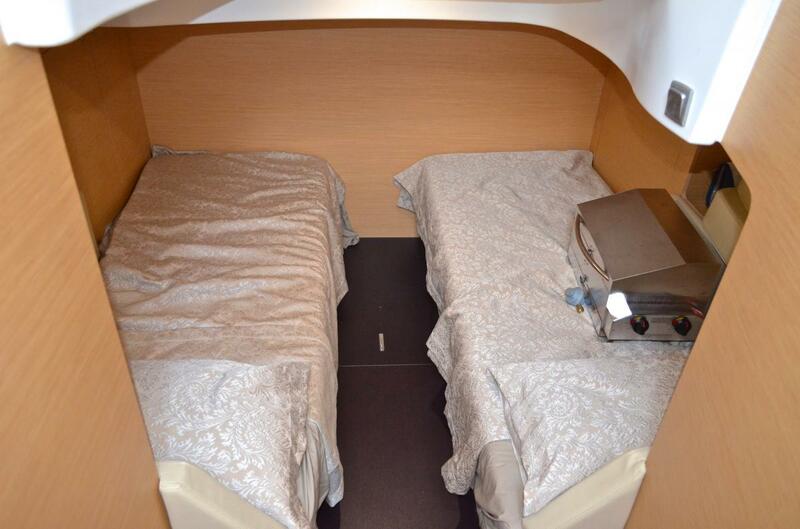 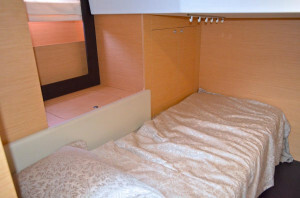 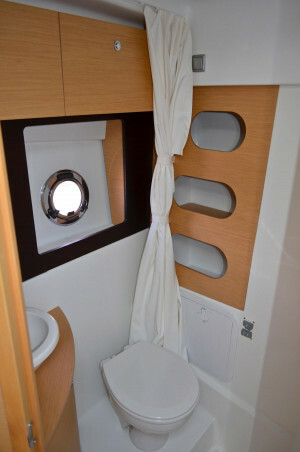 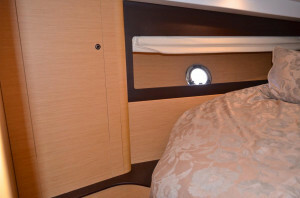 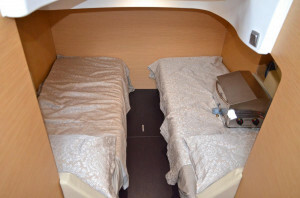 Down below you have 2 separate cabins, well-equipped galley and a very comfortable bathroom, all illuminated with the ambience of LED lighting. With very comprehensive engine and leg services undertaken only fairly recently, including a complete set of high end batteries, serviced heat exchangers and coolers, new bellows and steering ram boots, the economical Volvo diesels, with less than 300 hours purr like kittens! 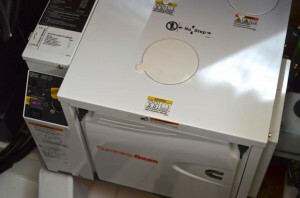 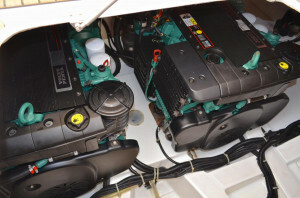 The newish Onan 'electronic' genset provides all the 240v power required. Transom underwater lights in both blue and white options complete the experience.